Today, I close my Favorite Things series with TOMS’ Winter Collection, because, honestly, this company is the epitome of a brand that gives back, with its groundbreaking one-for-one business model wherein each pair of shoes purchased means a pair of shoes for a person in need. Since its inception in 2006, TOMS has given more than 35 million pairs of new shoes to children in need, and helped restore sight to more than 250,000 people since the 2011 launch of TOMS Eyewear. And this year, the company established TOMS Roasting Co., providing a week of clean water to a person in need with every bag of coffee purchased. Though it may be an acquired taste for some, TOMS has the reputation of being among the most fashionable charities with its array of stylish footwear, from its classic slip-ons to its platform wedges. 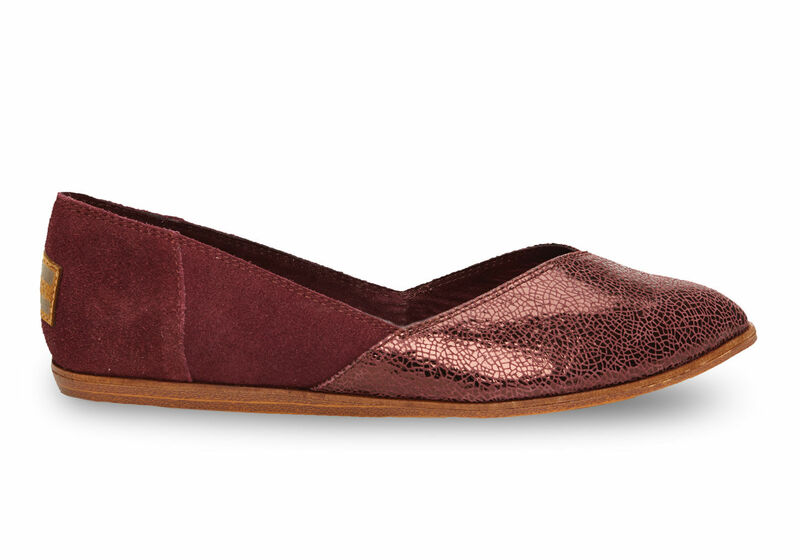 However, these Wine Crackled Leather Women’s Jutti Flats have quickly made it to the top of my wish list. These Indian-inspired gems blend suede and crackled leather for a tantalizing piece of foot candy. See what else made the cut after the jump! 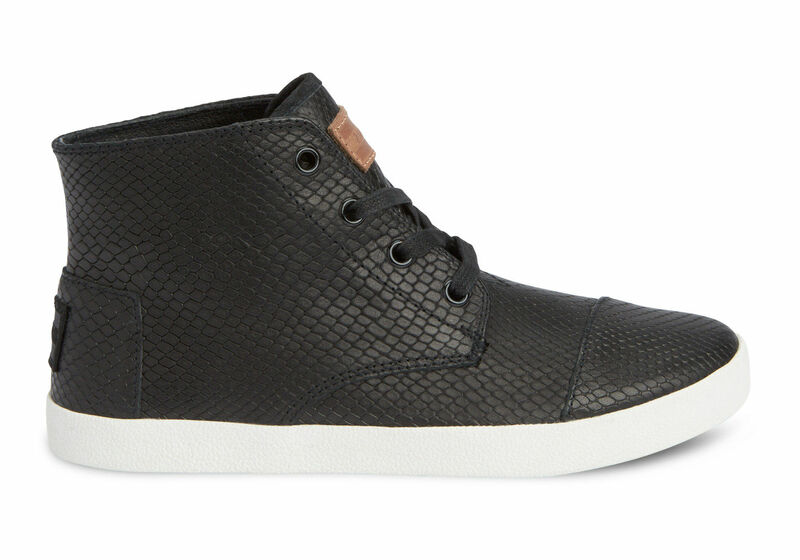 Hit the streets in these ultra stylish Black Leather Snake Women’s Paseo Highs. These shoes hardly look like the typical TOMS and are super versatile. Live on the edge and pair these sneakers with a tulle skirt or go casual with textured leggings and a denim jacket. To see the other brands and nonprofits that made Ashley Adores’ Favorite Things list, click here. Hopefully, seeing these successful companies’ good work will inspire you to support those who support others.